• Make our streets safe and inviting for pedestrians. • Complete our bicycle networks. • Increase capacity and speed on key bus and light-rail lines. • Increase rail service in the region’s urban core. • Build out the state’s plan for high-speed rail. • Integrate the region’s many transit operators to make a seamless experience for riders. • Use pricing to manage traffic congestion. The Caltrain Corridor — the string of cities stretching between San Jose and San Francisco — is home to the world’s innovation economy. But its transportation system is falling short. How can we keep Silicon Valley moving? Since the BART Transbay Tube opened in 1974, the Bay Area has grown from 4.3 million to 7.6 million people, yet we have added no new capacity for crossing the Bay. It's time to start planning a second transbay rail crossing. Bay Area transit riders contend with more than two dozen different operators. By integrating our many transit services so they function more like one easy-to-use network, we can increase ridership and make better planning decisions. Capital and operating deficits are putting the viability of Bay Area transit at risk. MTC has launched the Transit Sustainability Project to identify policy solutions. SPUR recommends nine strategies to reach the project’s goals. Caltrain is one of the most important transit systems in the Bay Area, and yet recurring budget shortfalls and a complex three-county governing structure have made its future uncertain. SPUR looks at long-term solutions. Muni faces an urgent financial crisis. 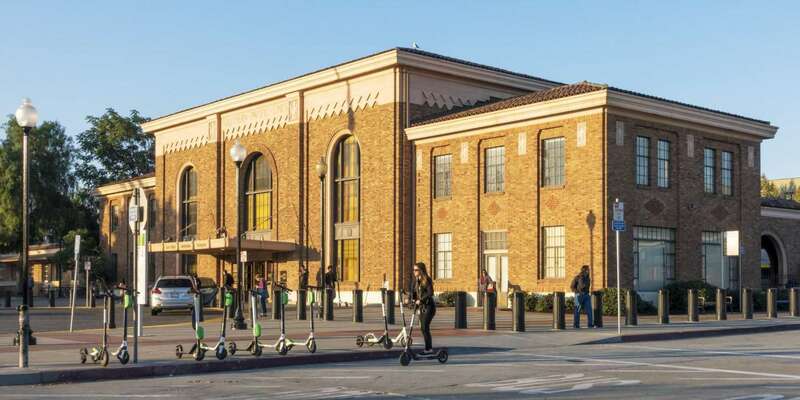 SPUR proposes to boost revenues by increasing the speed of boarding, reducing waits at lights, improving transit stop spacing and favoring primary transit corridors. Highway 280 and the Caltrain railyards create barriers between SoMa, Potrero Hill and Mission Bay. But San Francisco has the opportunity to advance bold new ideas that can enhance the transportation system and the public realm. North Beach, Telegraph Hill, Russian Hill, Fisherman’s Wharf and northern Chinatown have high densities of residents, workers and tourists — yet no major plans to increase transit. How can transit better serve these neighborhoods? Santa Clara County grew up around the car. Now traffic is stalling economic growth, social equity and quality of life. How can we get the South Bay, its people and its economy moving in a more sustainable way? Two major San Jose destinations — Santana Row and Valley Fair — are both planning to expand. SPUR offers 20 ideas for improving access and circulation for this already-congested area. Downtown Oakland, one of the most transit-accessible places in the Bay Area, is poised to take on a more important role in the region. But the future is not guaranteed. How can downtown grow while providing benefits to all? 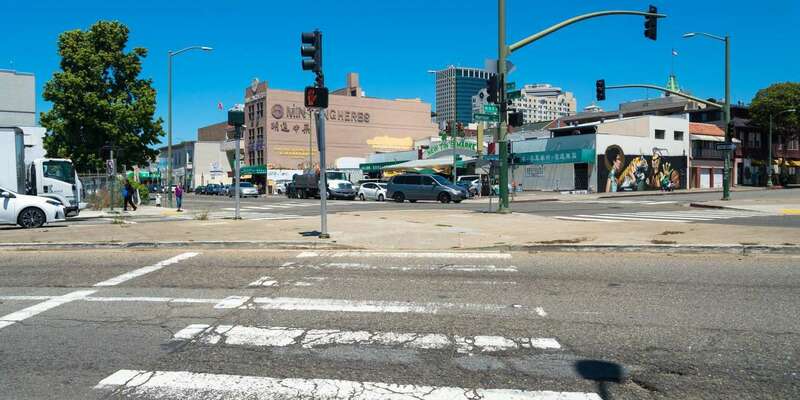 In recent weeks the Oakland Department of Transportation has begun publicizing its new $100 million, three-year paving plan. Ordinarily a plan that triples annual spending would meet with universal acclaim. But this plan — which incorporates equity in deciding how to spend money on paving streets — has some parts of town happy and other parts up in arms. SPUR’s exhibition How We Move catalogues 92 things that move us — from elephants to electric scooters to airships. Transit ridership fell in 31 of 35 major metropolitan areas in the United States last year, including the seven cities that serve the majority of riders. In contrast to the national picture, some Bay Area transit is seeing increased ridership, but the shift away from cars will continue to be an uphill battle. Navigating transit in the Bay Area is complicated: Each of the region's 27 transit operators develops its own maps, using a wide range of styles, symbols, graphics and language. Research shows that well-designed transit maps can increase ridership and improve passengers’ understanding of the transit system. SPUR offers recommendations for creating better maps that can make Bay Area transit easier to understand and navigate. Get the latest updates on Transportation projects and events.